My Rating: 7..to be honest I probably will never cook this again with chicken breasts, I may try it with a white fish like snapper. The sauce was VERY tasty. The chicken was a little dry, and I didn't over cook it. I prefer baked or grilled chicken breast. I think it would have been TONS better if I used chicken on the bone. It was GOOD THOUGH! I always had more seasonings, if not I think it would be a little bland. I didn't have stewed tomatoes so I used diced. 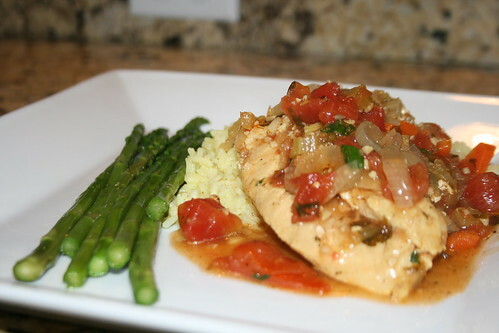 Chicken breasts are stewed/poached in basic seasonings kicked up a notch with fresh thyme and cayenne pepper. 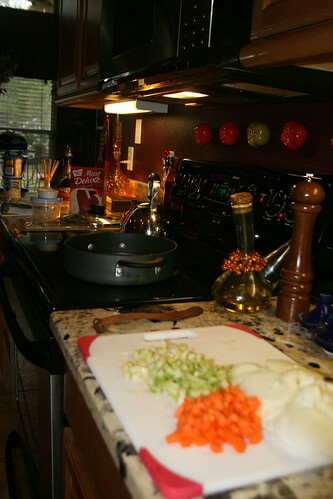 Allow about 25 minutes to get the meal on the table. 1. Wash the chicken and pat dry with paper towels. 2. In a large nonstick skillet, heat the oil. 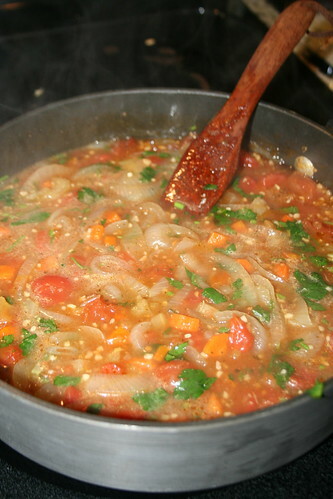 Saute the onions, bell pepper, celery and carrot until tender, 4-5 minutes. Stir in the tomatoes, chicken broth, parsley, garlic, thyme, salt and cayenne; add the chicken and bring to a boil. Reduce the heat and poach, partially covered, until the chicken is cooked through, about 8-10 minutes. 3. Using a slotted spoon, transfer the chicken to a platter. Simmer the sauce, uncovered, until reduced by half, about 4-5 minutes. Spoon the sauce over the chicken and serve. Makes 4 servings. 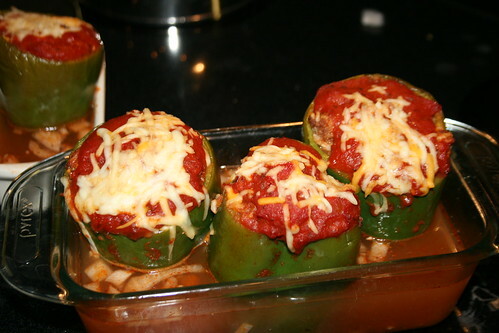 If you own the Weight Watchers cookbook DO NOT make the stuff peppers! I gave them a rating of 4…Jim liked them but I think his taste buds were broken that day. I’m not even going to give you the recipe…but took the time to make and take pictures so I will show you what the nasty things looked like. 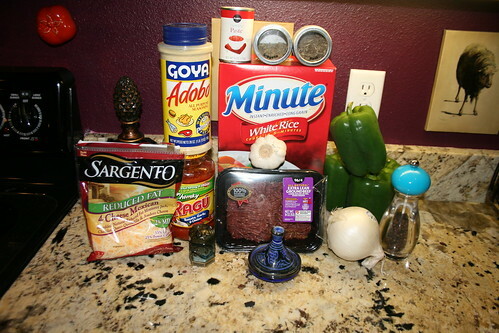 Tonight I’m trying another recipe, wish me luck! I have been away, so I apologize but I’m back to cooking! 1. 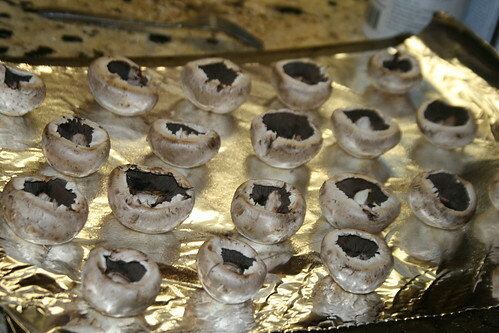 Preheat the oven to 400-spray sheet with nonstick spray. HHeat a large skillet over high heat. 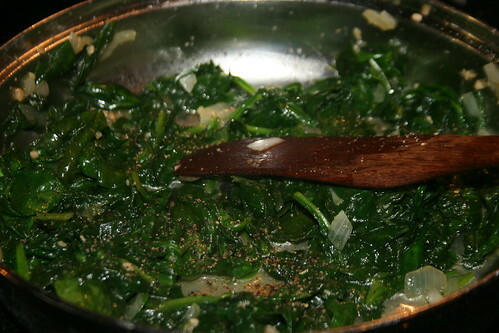 Add a little olive oil, sauté garlic and onions and then had the spinach and cook down until it looks like THIS. Transfer to bowl and add the rest of the ingredients. 4. 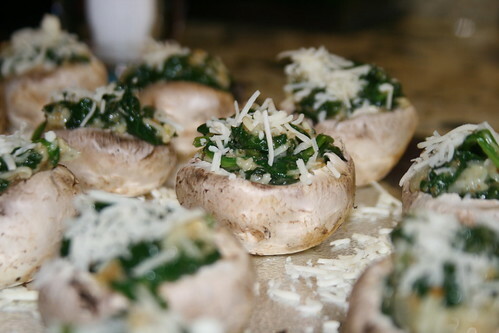 Place mushroom caps on sheet and fill with mixture. 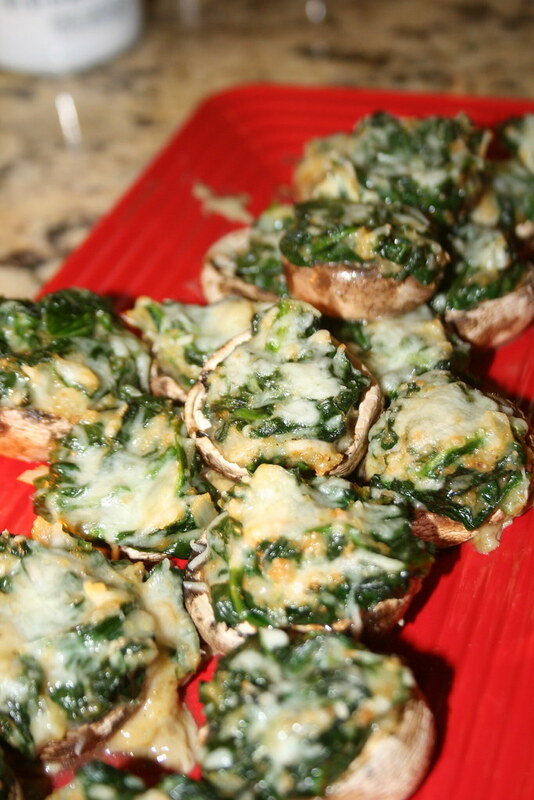 Top with a tiny bit of cheese and bake for 12 mins, or until mushrooms are done and cheese is golden brown! 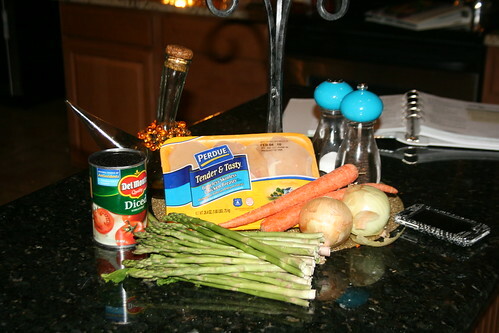 Check out my other BLOG for an awesome 4 point turkey burger recipe!